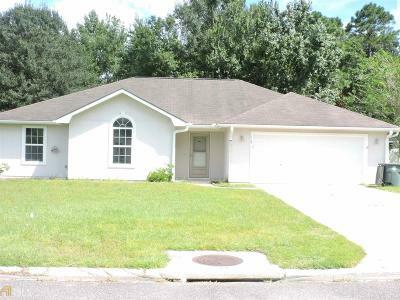 Spacious 4 bedroom, 2 bath home with vinyl fenced yard. Modern open floor plan with great room - living area, dining area, and kitchen with new beautiful wood laminate flooring, bright sunny windows, stainless appliances, upgraded cabinets and granite counter tops. Large master with sitting area (could also be used as office/computer), walk-in closet and it&apos;s own complete bath with dual vanities, linen closet and oversized tub/shower. Split bedroom arrangement. Indoor laundry room and 2 car garage. Fantastic screen room opens to fenced back yard - great for outdoor living. Home has been totally remolded. Close to Howard Peeples Park, I-95, schools, shopping and base. This one is ready for you so call today. Directions: Lakevine Subdivision. 1st Left. Home Is On The Left.